DailyRoto's MLB Solo Shot Host, Logan Hitchcock, gets you headed in the right direction with his 7/19 MLB DFS Picks. Check out where his mind is at today when it comes to roster construction at FantasyDraft. 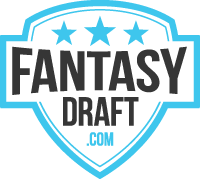 where they put players first - Daily fantasy baseball on a level playing field. Check them out tonight. Now, on to the the picks for tonight's action. On a typical night of MLB DFS there are a few spots that garner our attention offensively. Whether we are looking to attack a bad pitcher, a great ballpark, or a combination of both, something stands out above the rest. Tonight though, there are so many options offensively that I'm having trouble focusing on even three or four! First off, there is a game in Coors Field. Tyler Chatwood and Blake Snell will square off in the the game with the highest total on the slate, but it is just one of eight games with a total of nine or higher. Snell has struggled in his first six starts, pitching to a 4.80 xFIP while walking nearly five hitters per nine innings. He's been able to keep the ball in the ballpark, but in the last two games he's allowed plenty of hard contact. Couple that with his slightly below average GB% and the thin air in Colorado could introduce him to some difficulties. The Rockies have the highest implied run total on the slate at well over six runs and they've actually become slightly more valuable on this slate. Only Nolan Arenado ($10,800) is priced in the top tier, while other sluggers Trevor Story ($9,900), Carlos Gonzalez ($9,300) and Charlie Blackmon ($9,900) fall just below the decade-mark. The Rays provide a bit more value, but they draw a bit of a less friendly matchup with a groundball roller in Chatwood. Chatswood has also been able to keep the ball in the park and the Rays haven't had as much success as a team against right-handers, building just the 22nd best wRC+ against righties this season. Of course they get a small pass playing in Coors, but there are plenty of other options tonight. One of those options is the Detroit Tigers bats versus Tommy Milone. Malone has found a way to get the ball on the ground a bit more this season, but he's still a perfect stack against candidate. He doesn't strike many out, he's putting three hitters on via the free pass per nine and allows 1.52 HR/9 as well. With an ERA over five and an opposing hard hit rate above 34%, there isn't much to keep you from using Tigers. Miguel Cabrera ($8,400) is still priced at an absurdly low cost and is viable in all formats, but all of the Tigers surrounding complementary pieces are also in play. They have an implied run total of more than five runs and are a great stack option tonight. The Red Sox are also in a dangerously enticing spot tonight against Jake Peavy. Peavy hasn't been able to really take advantage of his home ballpark and this game at Fenway Park wreaks of disaster for him. He's pitched to a 5.02 xFIP while allowing the 9th most hard hit contact among qualified starters this season. In case you forgot over the break, the Red Sox are dominant against right-handed starters, leading the league in wRC+ and wOBA. You'll still have to pay to grab Betts ($10,400) and Big Papi ($10,800), but the surrounding hitters provide the value. Hanley Ramirez ($7,800), Dustin Pedroia ($7,800) and Xander Bogaerts ($8,700) all have accessible price tags and still get you a piece of a dangerous offense. These teams are not alone, but are just three of the best options tonight. Other offenses to be looking at tonight are the Cincinnati Reds, Toronto Blue Jays, New York Yankees and the St. Louis Cardinals. It's going to be a high-scoring night, buckle in. Somehow despite an overwhelmingly offensive night, there are some top starting pitching options available tonight. Jake Arrieta ($23,400) and Noah Syndergaard ($22,800) square off against each other in a battle at Wrigley Field tonight. If the Cubs were at full strength, Syndergaard might be facing the tougher of the two lineups, but I think he's the go-to arm in this game. The Cubs strikeout the sixth most in the league against right-handed starters and Syndergaard's 30.4% strikeout rate has a nice place to grow tonight. Arrieta is a bit more of a flyer as I'm on the wait and see approach due to his price tag and struggles before the break. Arrieta was dealing with a bit of a command issue and was working deep counts and struggling to go deep into games. I'll take the discount on Syndergaard (despite the delicate injury situation he might be in) but Arrieta shouldn't be ruled out as a tournament option. We saw what Mike Leake was able to do to the San Diego Padres last night, pray for them against Carlos Martinez ($19,600) tonight. Martinez will get to take advantage of the same strikeout prone team, but with a much better initial strikeout projection. While Martinez' strikeout rate is down so far, both ZiPS and Steamer project some positive regression before the end of the season. Otherwise, Martinez has been fairly solid this season for the Cardinals. He's pitched to a 2.85 ERA while allowing less than 30% hard contact. The Padres implied run total of just over three runs is one of the lowest on the night and Martinez is a sizable favorite (-197) tonight. He's a solid cash game target tonight. Whether starting with Martinez or Syndergaard, there is also a variety of cheaper middle tier starters that you can help fill in your second starting pitching slot. Jameson Taillon ($17,100) draws a matchup with a heavy right-handed and strikeout prone Brewers team getting a notable negative park shift. Taillon has been solid in his first five starts, but this one will be the first he's making since returning from the disabled list and the Pirates will most likely be cautious. It might be difficult to rationalize paying $17,100 for the potential of only five innings of work, but if you're looking to save to spend on offense tonight you could do worse. Aaron Sanchez ($19,200) remains one of my favorite starting pitchers to use this season due to his extreme groundball ways. He draws a poor park for pitchers, but the Diamondbacks strike out the fifth most in the league against right-handed starters and have just the 18th best wRC+ against righties this season. You won't be receiving much of a discount, but a big road favorite with some solid upside against a potential weak lineup. Don't forget about Vincent Velasquez ($18,800) and Danny Salazar ($22,000). The pair have some of the best upsides on the entire slate due to their strikeout potential, however, given their matchups they are a little less enticing tonight. Velasquez gets a matchup with a tough and contact oriented Marlins team while Salazar will draw the pesky Royals offense. However, each could come in handy as tournament options with low ownerships.